No frills flyer this week Valid Thursday August 24 - Wednesday August 30. 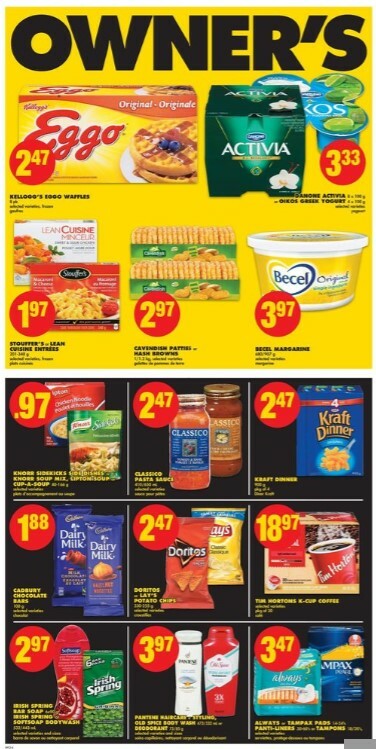 Check out your local latest weekly Nofrills flyer for the week of Aug 30. Explore even more local weekly flyers in your area near you today in Canada! Chicken Drumsticks or Thighs Big Pack or Halal Chicken Drumsticks or Thighs Tray Pack - Price $1.77/lb $3.90/kg. Green or Red Seedless Grapes $1.27/lb - Price $2.80/kg. Product of U.S.A. no 1 grade. Nutella Spread- Price $1.97 375g. Kraft Peanut Butter or Smucker's Jam - Price $2.47 Kraft peanut butter 750g/1kg or smucker's jam 500ml. Selected varieties. 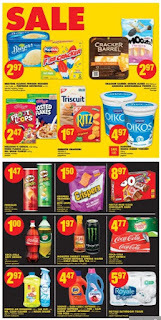 Kellogg's Nutri-Grain Bars, Rice Krispies Squares or Pop-Tarts - Price $1.47 Selected varieties. 125-400g. Vachon Snack Cakes - Price $1.97 Selected varieties. 202-336g. Allen's Cocktail Drink - Price $2.97 Selected varieties. 21x200ml. 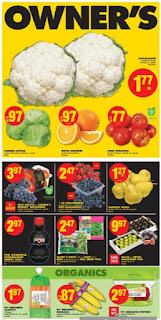 Shop for Cauliflower - Price $1.77 Canada no. 1 grade. 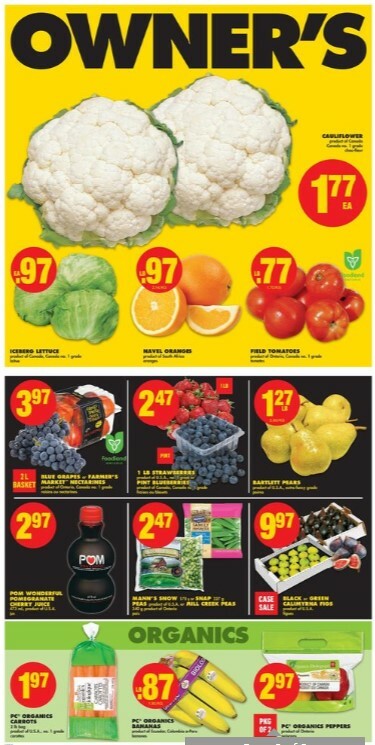 Iceberg Lettuce - Price $0.97 Product of Canada. Canada no. 1 grade. Navel Oranges - Price $0.97/lb Product of South Africa. $2.14/kg. Available on page 2. Field Tomatoes $0.77/lb - Price Product of Canada. Canada no. 1 grade. $1.70/kg. Foodland Ontario. Blue Grapes or Farmer's Market Nectarines $3.97 - Price Product of Ontario. Canada no. 1 grade. 2 L basket. Foodland Ontario. Strawberries or Pint Blueberries $2.47 - Price Strawberries 1 lb product of U.S.A. no. 1 grade or pint blueberries product of Canada, Canada no. 1 grade. Bartlett Pears $1.27/lb - Price Product of U.S.A. Extra fancy grade. 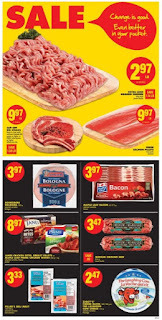 $2.80/kg. Pom Wonderful Pomegranate Cherry Juice $2.97 - Price 473 ml. Product of U.S.A.
Mann's Snow or Snap Peas or Mill Creek Peas $2.47 - Price Mann's snow 170 g or snap 227 g peas product of U.S.A. or mill creek peas 340 g product of Ontario. Black or Green Calimyrna Figs $9.97 - Price Product of U.S.A.
Shop for Organics product that is, PC Organics Carrots - Price $1.97 2 lb bag. Product of U.S.A. No. 1 grade. PC Organics Bananas - Price $0.87/lb Product of Ecuador, Colombia or Peru. $1.92/kg. Also find PC Organics Peppers - Price $2.97 Product of Ontario. Pkg of 2. 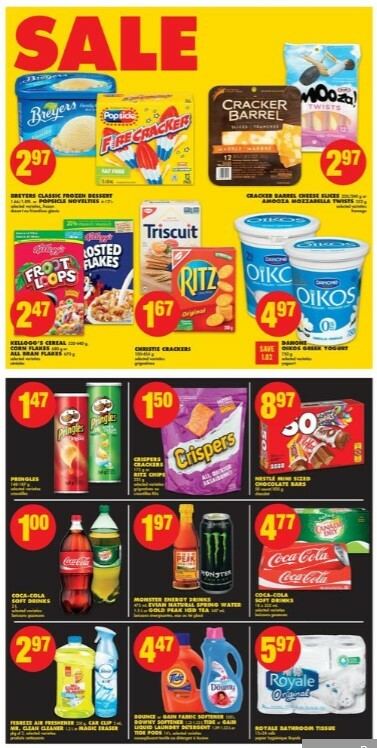 Check out here No Frills flyer all items for this week.